Shop PreSonus Eris E44 Active Studio Monitor Dual 4 1/2 inch Woofer from AMS with 0% Interest Payment Plans and Free Shipping. 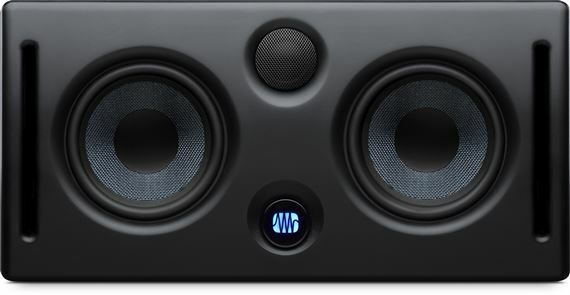 Eris E44 Active MTM monitors deliver smooth on- and off-axis response with more dynamic output than conventional two-way studio monitor configurations, thanks to their MTM (midwoofer-tweeter-midwoofer) design, which features a 1.25-inch silk dome high-frequency driver nested between two 4.5-inch Kevlar low-frequency drivers. The nested MTM configuration facilitates both vertical and horizontal loudspeaker placement while providing improved spatial resolution with a much wider sweet spot than conventional designs. "I love the quality of sound"
When people walk in my studio they notice these monitors. The clarity of sound it delivers is amazing. Long story short ....... It made an huge improvement to my mixes .... Was able to hear everything ..... Presonus did GREAT WORK with those monitors !!!! I am super impressed with these studio monitors. They are worth the price and quality especially for an in home studio. There’s nothing like to hear precise/professional sounds at home! Must buy.